With support from the Resources Legacy Fund and assistance from the Natural Resources Defense Council and the University of British Columbia, the California Department of Fish & Wildlife is evaluating the DLMtool for use in California state-managed marine fisheries. The goal of the project is to demonstrate an efficient and transparent framework for improving the science for data-limited fisheries and for prioritizing future data collection. The Toolkit is being customized for California fisheries in a number of ways, including with the addition of a suite of new input control-based management procedures and the ability to model cyclical recruitment trends to replicate ocean regime shifts and identify methods that are robust to changing climate. These new features of the Toolkit also have been added to the public version of the software package, thus enabling a broad array of new potential applications to other fisheries throughout the world. 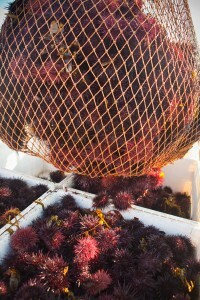 Through close collaboration with CDFW biologists, the project has conducted case studies with four stocks: barred sand bass, Southern California halibut, red sea urchin, and warty sea cucumber. The design and implementation of the project has been coordinated with scientists at the CDFW to ensure that outputs best suit the needs of those responsible for managing the State’s fisheries and to provide CDFW scientists with the technical capacity and expertise necessary to continue using the DLMtool. The work has been reviewed and guided by a working group that includes fisheries experts from state and federal management agencies and academia, as well as experts from NGOs and leading fishing organizations. The ultimate goal is for a customized version of the Toolkit to be adopted as part of the planned revisions to the State’s Master Plan for Fisheries.